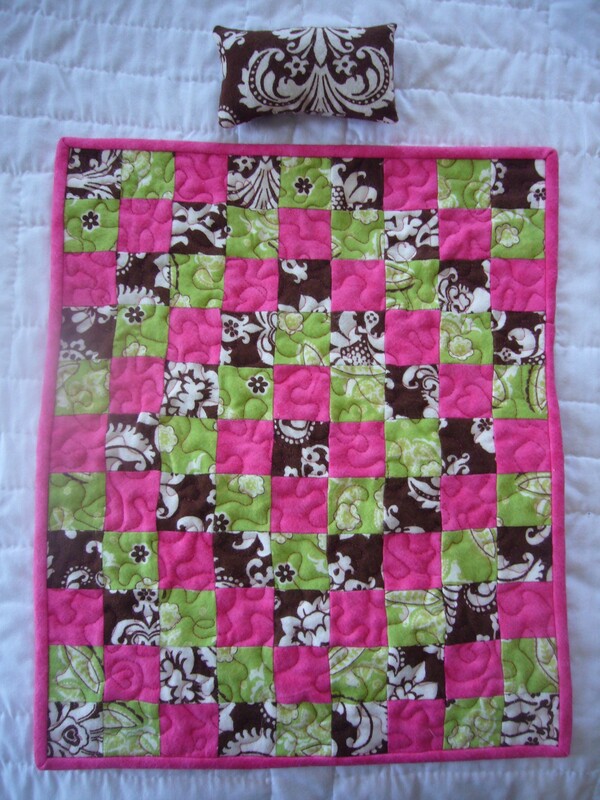 I thought that I would start a blog to keep my friends and family (and anyone else who is interested) updated on all my quilting, sewing, gardening and other projects. 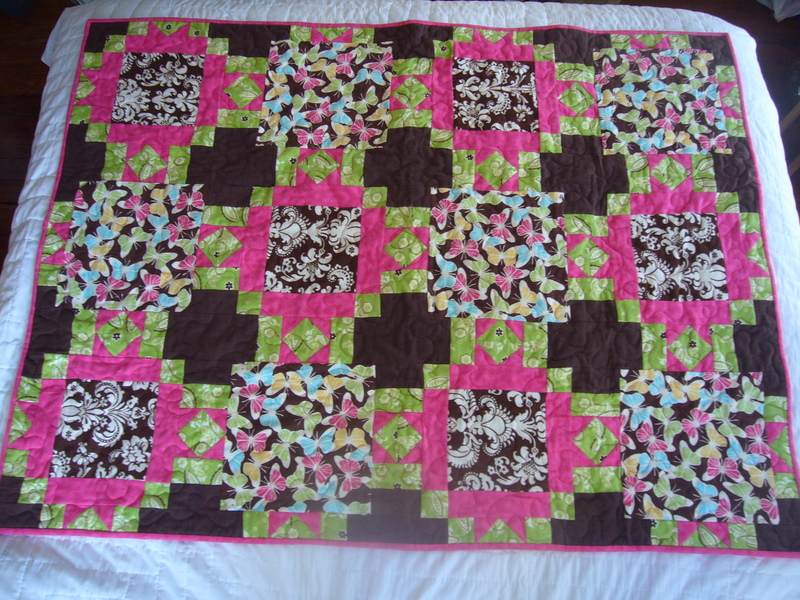 I picked a butterfly fabric as the focus fabric and based all the other fabric off of those colors. At the baby shower I found out that Nancy loves butterflies! 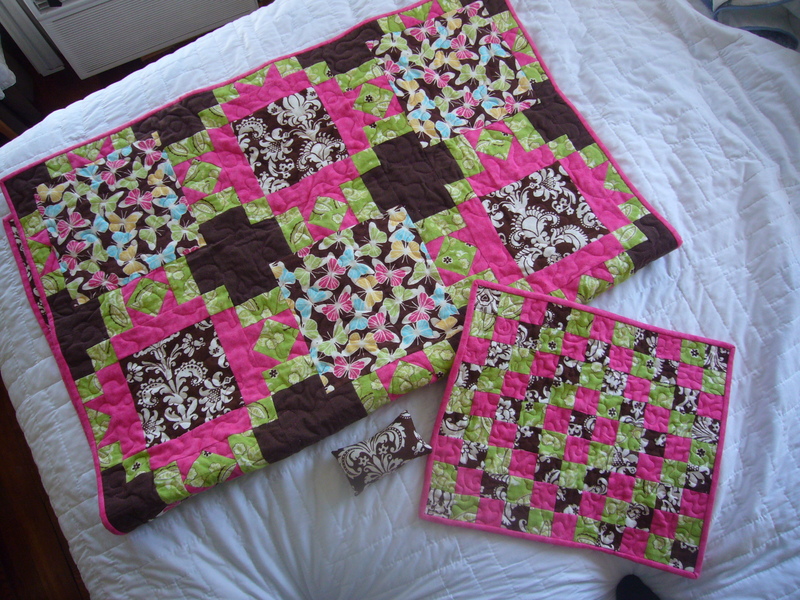 Nancy wanted me to make her a baby doll quilt and pillow to match the baby quilt that I made for her daughter. Janel, Your projects are beautiful. Of course I know the first 2 personally, but the others are really nice too!